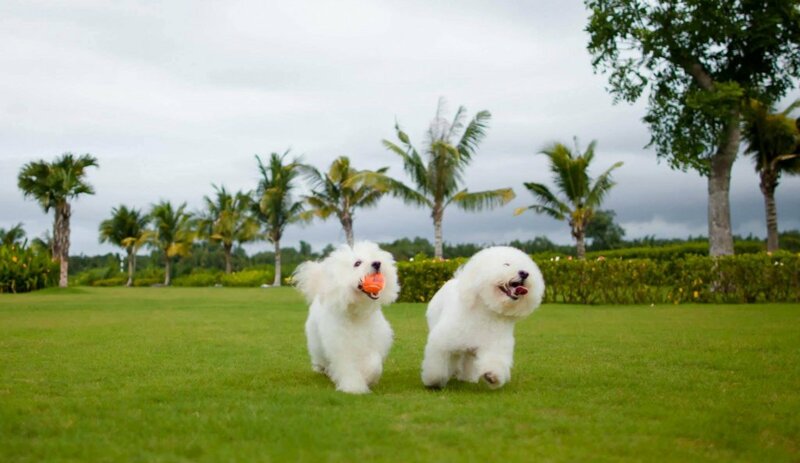 Our dogs are an important part of our family and when it comes to travel, it’s hard to imagine leaving home without them and we love experiencing new places with our beloved Lychee and Chloe! As much joy as bringing along our dogs can be, it can be daunting once you factor in transportation, activities, where to stay, and your pet’s health and safety. There’s a lot to know, so I have come up with a guide of steps that you can take to ensure the health and safety of your pets for your next adventure. 1. Plan far ahead: Some countries like the UK require special tests 4 months before you arrive. 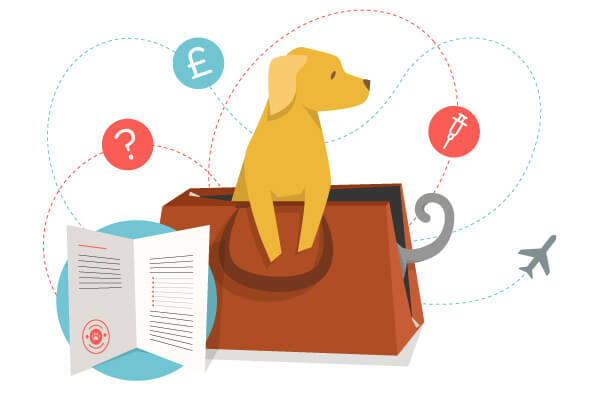 The site Pet Travel lists the entry requirements by country. 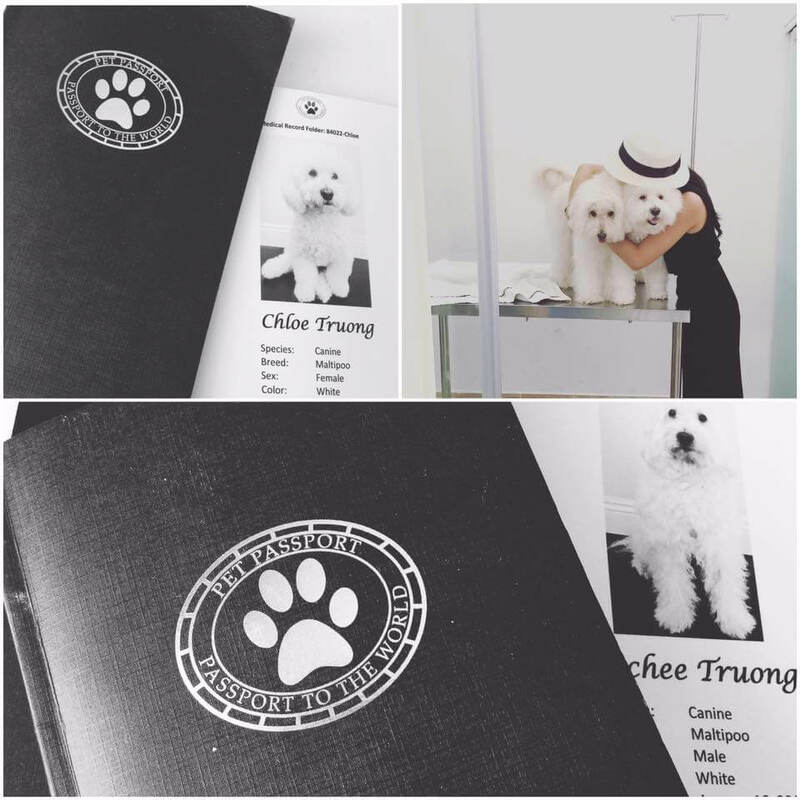 ***A pet passport is a multi-document, and is required in the European Union. This consists of the EU form 998 (country-specific) and your pet’s inoculation record. ***You can find regulations of each airline online, but to be absolutely sure, you should call them as they can change. Some airlines require you to call and make a reservation for your pet; others do not. To avoid confusion, call ahead and find out their policy. ***Choose carry-on or cargo: Generally, if your pet is under 25 lbs you can bring him/her on-board with you. If it’s a big dog, you’ll have to decide if you will send him/her as checked luggage or as cargo. ***Before you spend money on a carrier, double check the allowed dimensions of the airline you are flying with and purchase accordingly. Bring your dogs with into PetSmart and have them test out sizes. Your pet should be able to stand up, turn around and lay down comfortably! Research is particularly important when traveling abroad. Each country has specific laws dictating the importation of animals. 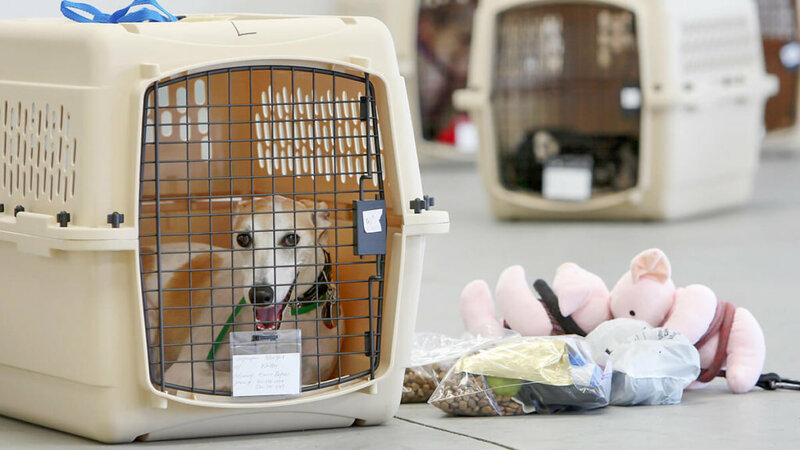 You may need specific documentation just to leave the airport with your pet. Some countries have quarantine periods that last as long as several months. 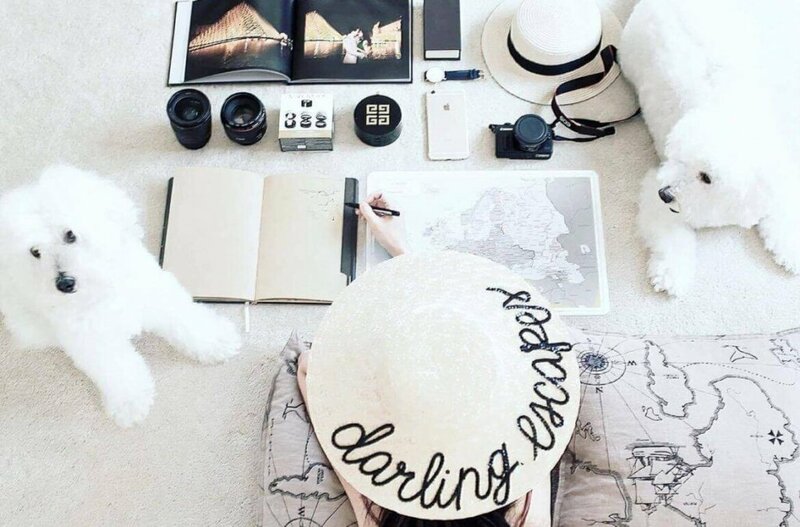 You must do your research before attempting to bring your pet to a new country, or your pet could end up in quarantine without you for an extended period. You should know that many “dangerous dogs” are banned from entering most countries. You should be able to find out from the country’s Department of Agriculture which breeds these are. 1. Before you leave for the airport, exercise your pet. That way your pet will be more likely to fall asleep in flight. 2. The night before you leave, freeze a dish of water for your pet. The frozen water won’t spill during loading, and will melt by the time your pet wants a drink. 3. Don’t forget to tape food and a water bowl to the top of your carrier if you are checking your pet into cargo. You’ll want to label these as such, in case you get separated from your dogs in an emergency and they need to feed them. 4. Be sure to label your carrier with lots of warnings like “THIS SIDE UP” and your contact information in case you get separated. 5. Include a favorite toy with your scent in the carrier to comfort your pet. 6. Travel on the same flight as your pet. Ask the airline if you can watch your pet being loaded and unloaded. When you board, notify a flight attendant that your pet is flying with you. 7. Arrive at the airport with plenty of time to spare. 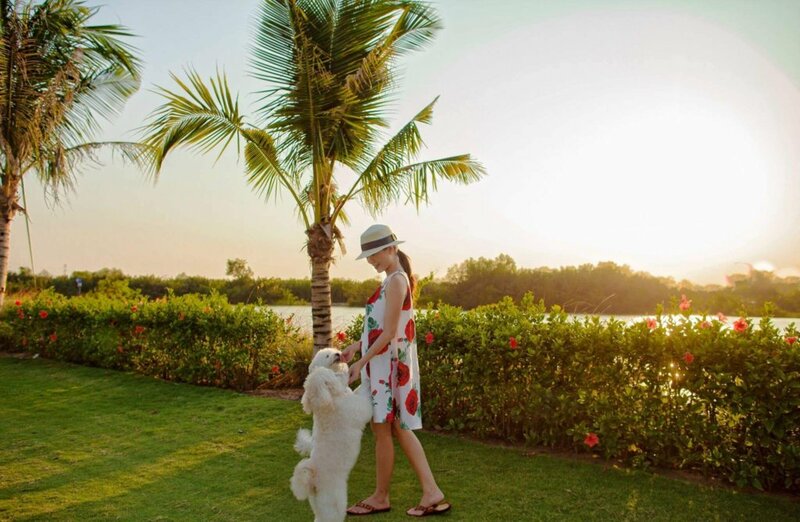 Carry a leash so you can walk your pet before checking in and upon arrival. 1. To avoid delays, ensure you have all of the documents on hand and ready to give to the customs agent. Once you get your pets to your destination, you’ll be amazed at how wonderful the experience can be. 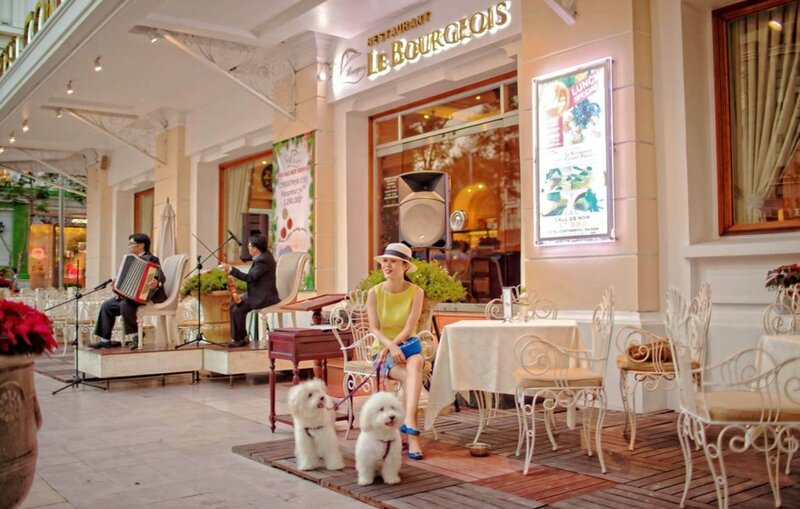 Walking around SaiGon with our dogs has been the most joyful adventure. 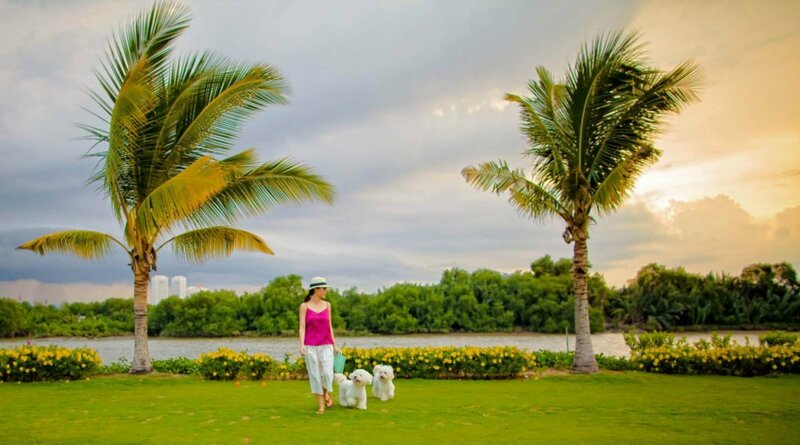 Instead of spending months waiting for us to come home, Lychee and Chloe got to run alongside green-lush rivers, live on the 11th-floor apartment of Riverside in district 7, enjoy their sunset walk amidst of coconut trees and have afternoon tea at the Continental in district 1. What are your experiences of traveling with your pet? Post up your comments and let us know!